Known as the "Crown Jewel" of southwest Florida, the city of Naples is the epitome of paradise. Located on the Gulf of Mexico, this city contains pristine white sandy beaches that stretch for miles amid a diverse mix of cultural, entertainment and leisure activities. Naples Florida Real Estate - Known for its world-class, challenging golf courses, Naples is also home to hundreds of housing developments. The metropolitan city has been experiencing rapid growth since the 1980s, and being a homeowner remains relatively inexpensive in southwest Florida. There are a variety of new single- and multi-family homes and villas, as well as residential towers that mirror the most premier of resort-style living with a long list of amenities. Many communities include pools tennis courts and fitness centers. 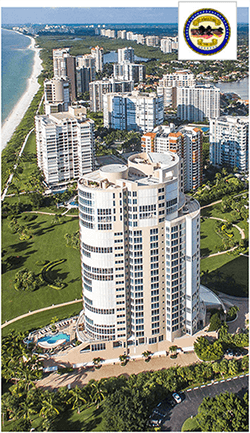 Naples Florida Homes and Condos for Sale :: The homes in city range in style from Old Florida homes to massive Mediterranean oceanfront villas - many with gated exclusivity - and vary from large floor plan condominiums to quaint, clustered carriage homes. The residential properties are built around specific lifestyles or pastimes, such as golfing, nature or boating, surrounded by natural preserves, meticulously tended courses or beautiful landscaping. Waterfront living is at a premium, while golfing communities are a Naples specialty. With plenty of luxurious opportunities, homeowners have exclusive access to private beaches, boat slips and close proximity to biking, walking and hiking trails. Most natives enjoy views of the water - with magnificent observations of Florida sunsets. While in Naples, residents and visitors enjoy shopping, the arts, local attractions and a multitude of dining options - some right on the shore. The recreation and water-loving population boasts an active social life, making it a great place to live and visit.